The ability to taste umami in food (the fifth taste) could be beneficial for general overall health, particularly in elderly people. 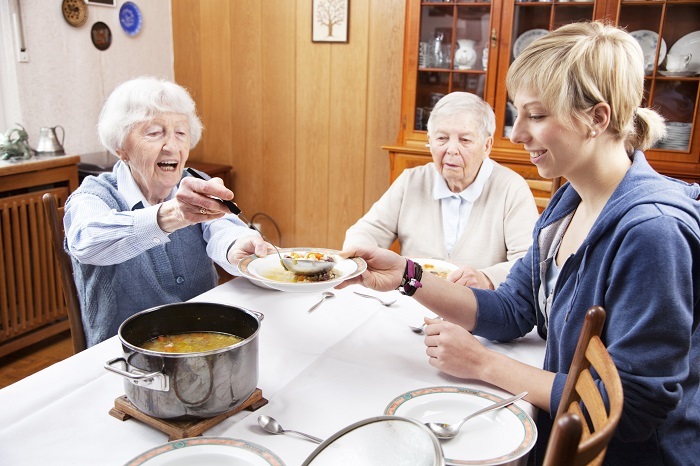 In a new study, published in the journal Flavour, scientists from Tohoku University Graduate School of Dentistry in Japan developed an umami taste sensitivity test and used it on 44 elderly patients. The taste tests revealed that the elderly patients who had lost their taste for umami also complained of appetite and weight loss. Those who had problems tasting umami complained that food was no longer palatable and they were not eating normally. All of the patients were aged over 65 so their loss of taste could be due to aging, the study said. But the researchers also suggested that diseases suffered by elderly patients and side effects from their medications could cause reduced salivation, leading to taste disorders. Umami can be beneficial for overall health. “Thus, umami taste function seems to play an important role in the maintenance of oral and overall health,” the study authors concluded. Researchers have found that consuming a broth rich in umami — or savory taste — can cause subtle changes in the brain that promote healthy eating behaviors and food choices, especially in women at risk of obesity. “The results may open new ways to facilitate healthy eating and reduce food intake in the general population. Many cultures around the world advocate drinking a broth before a meal. Our study suggests the possibility that people at high risk of obesity could benefit from an umami-rich broth before a meal to facilitate healthy eating and healthy food choice,” said study author Miguel Alonso-Alonso, MD, PhD, an Assistant Professor at the Center for the Study of Nutrition Medicine. More research about umami’s effect on appetite.